If you have a loved one in your life who is allergic to peanuts or has issues with milk, these vegan “No-Peanut-Butter” Chocolate Balls are a perfect addition to your recipe collection. 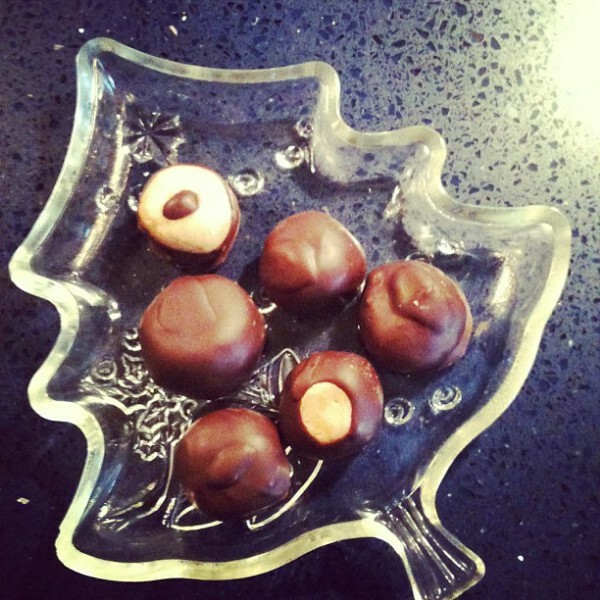 This recipe takes the classic peanut-butter Buckeyes recipe, but makes the necessary changes so that everyone can enjoy them. 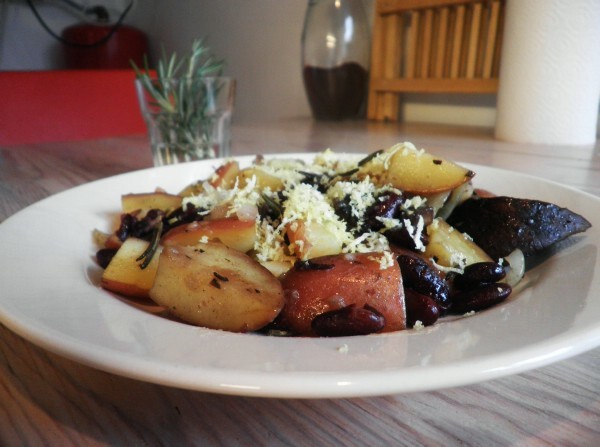 Most of the vegan ingredients can be purchased at grocery stores or health food stores and the recipe can be adjusted to make everyone happy. Instead of using peanut butter, you use your favorite brand and texture of soy nut butter, from smooth and creamy to crunchy. Soy nut butters have come a long way in the past few years and even the biggest peanut-butter aficionados often cannot tell that these sweet treats are not made from actual peanut butter. Soy nut butter does have the same oily texture that peanut butter has, so you will need to add a little bit of soy milk to make the inside creamy. 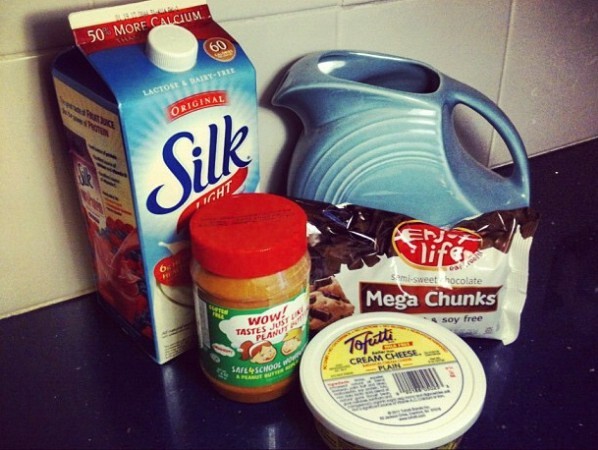 If you use regular peanut butter for this recipe, omit the soy milk. Mix 2 ounces of the vegan cream cheese with 2 cups of the powdered sugar and mix until smooth – to the consistency of frosting. Add the soy nut butter, vanilla, and remaining sugar. Beat until all mixed together. Add the soy milk and beat until smooth. Depending on the soy nut butter you use, you might need to add an additional teaspoon or two of soy milk to get the consistency just right. Take the cold baking sheets out of the freezer. Using your hands, roll the mixture into balls about one-inch in diameter and place on the wax paper. Refrigerate for 15 minutes. After the balls have chilled, melt the chocolate chips and shortening in a double burner (stainless-steel bowl over small sauce pan). 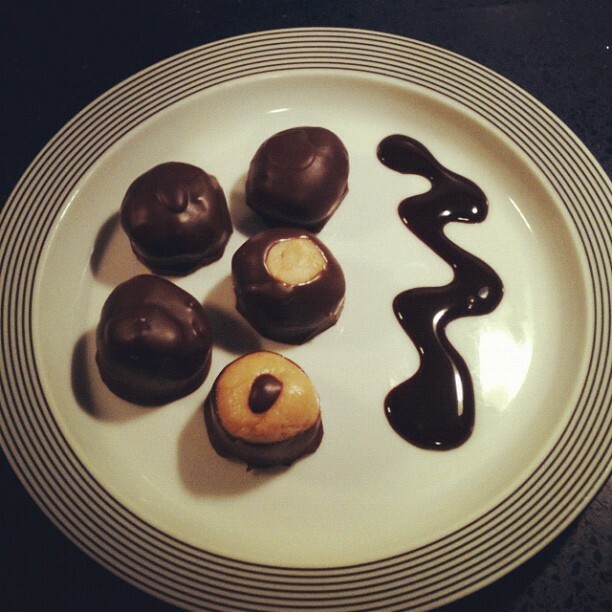 Dip the balls into the chocolate (using toothpicks) and place the back on the wax paper. Put them back in the refrigerator for at least thirty-minutes. When you dip them in the chocolate, you have complete control regarding how you want them to look. You can dip them so a little bit of chocolate shows through the top or you can cover them completely. If you want to cover the hole from the toothpick, use a spatula to drizzle a little bit of chocolate. Enjoy!